Rukeri, a brand of Salt of Grit Solutions Ltd, invest in the future with a colourful branded lorry. 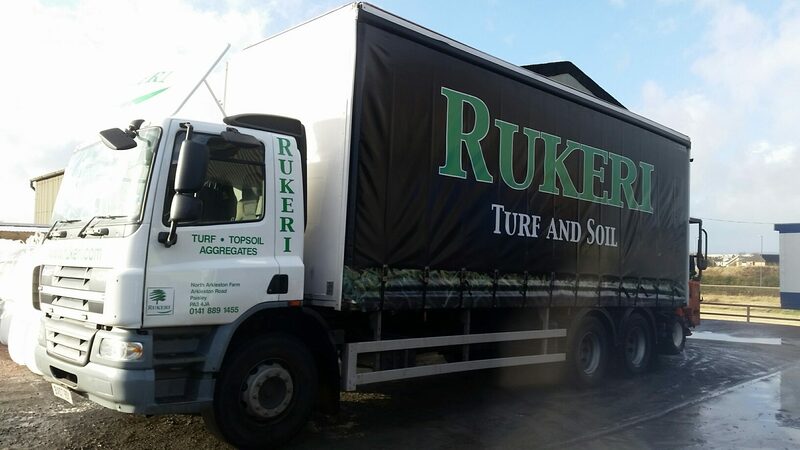 Paisley Buddies will be accustomed to seeing the company’s existing Lorries’ on the road as the summer was a busy one with many householders in the local area choosing Rukeri for their turf and landscaping supplies. The decision to invest in a new lorry was made to help the company keep up with increasing customer demand for product deliveries. Rukeri chose a curtain sider with a Moffett Mounty forklift to complement the existing fleet of Hiab lorries. As there was more room to play with for branding the lorry, the design of the new curtain sider is styled differently from existing vehicles. It features the company name in big colourful letters, with a strip of grass underneath. This all stands out from a simple, black background. 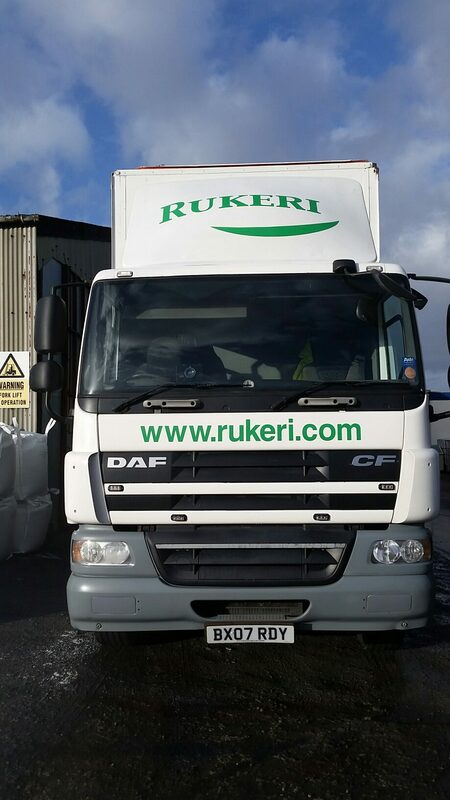 Rukeri, based at North Arkleston Farm in Paisley, is a brand of Salt and Grit Solutions Ltd. Both brands offer distinct product ranges from each other however the diversification works well. Public sector organisations and ground maintenance/landscaping companies benefit from a ‘one stop shop’ using one supplier all year round. Both arms of the business also welcome public enquiries and offer great quality, affordable products that can be viewed online or from the yard in Paisley.